Banks of all sizes are undertaking significant efforts to fulfill risk-based capital requirements. 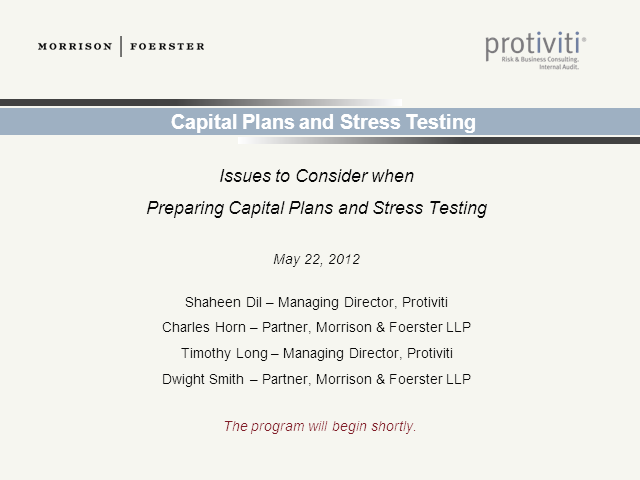 This session will provide an overview of the most important regulatory developments related to capital and provides practical insights into what financial institutions should do and know when they prepare for Capital Plans and Stress Testing. Our panel will also discuss recent related regulatory responses and debates over what should be done to avoid a repeat of the financial crisis.